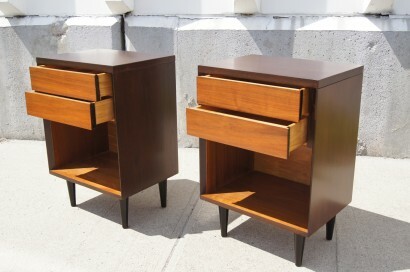 Pair of nightstands by T.H. 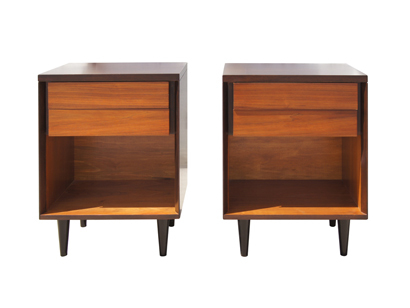 Robsjohn-Gibbings for Widdicomb. 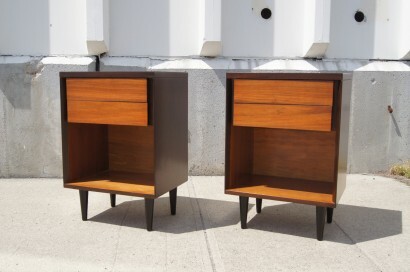 Each is composed of two drawers above an open storage area. 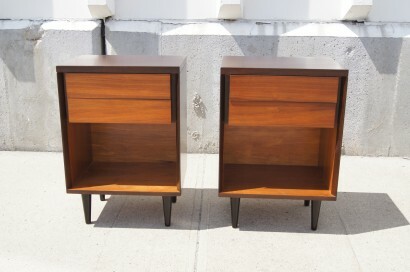 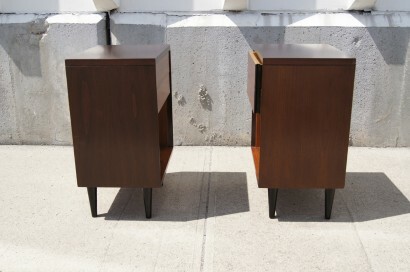 These two-tone nightstands are newly refinished with a mahogany-colored exterior and a natural walnut interior.